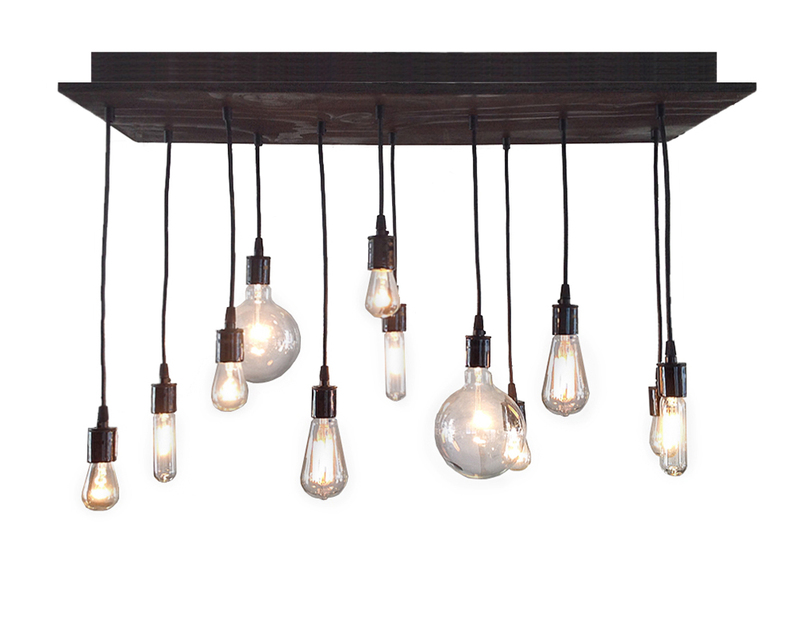 Add a modern industrial design to any space with this chandelier. 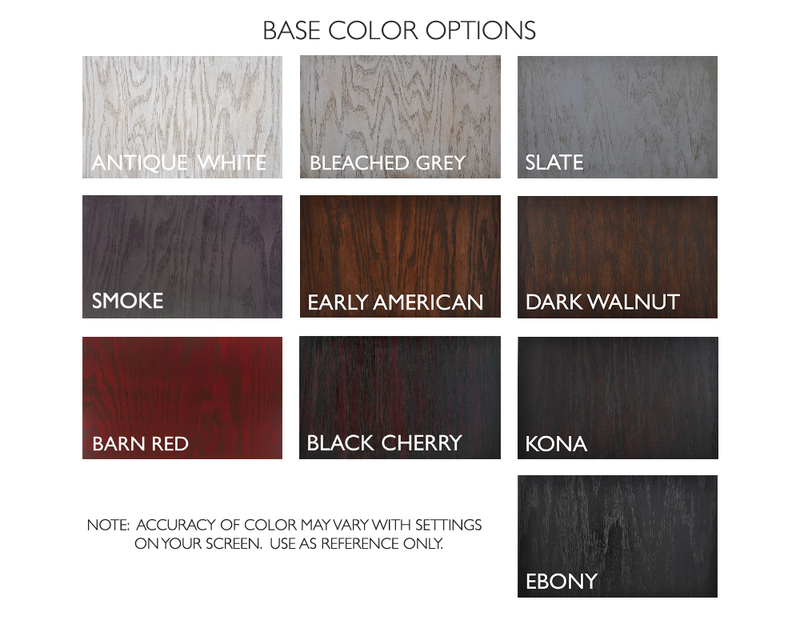 It features a rectangular wood base in our dark walnut finish with solid black porcelain sockets. The heavy-duty pendant cord is round black rubber. A mixed combination of clear and amber glass Edison bulbs create the perfect amount of light. All of the bulbs are dimmable and included as shown. 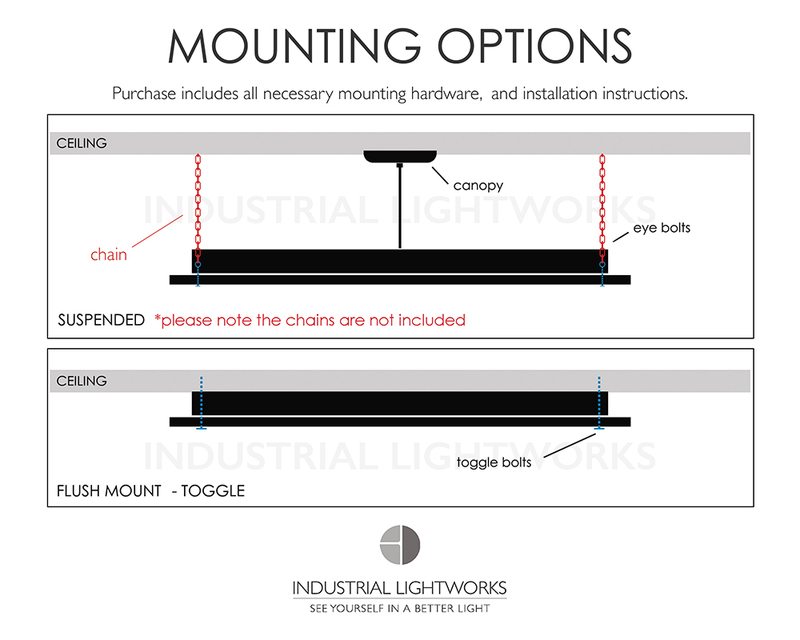 You can design this light fixture and SEE THE LIGHT™ with our custom selection tool. Choose from a wide assortment of finish, socket, cord and bulb options. Bulb: Edison globe mix (dimmable) Watts: 210-250w.